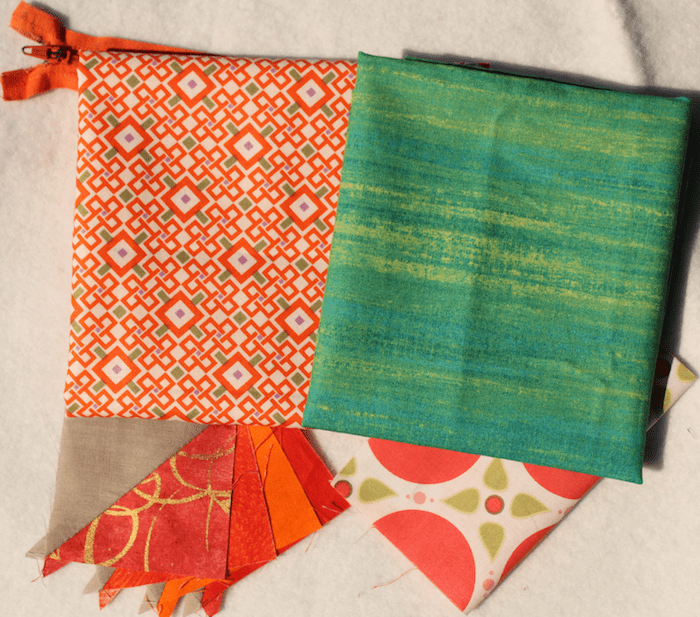 The Toronto Modern Quilt Guild is participating in a three-way swap with the Victoria and Maritime Modern Quilt Guilds. We were asked to make a pouch in any size and any style. 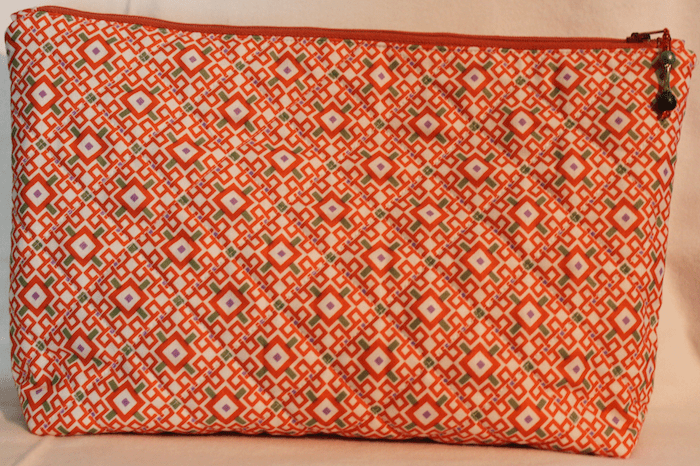 I selected some fabrics and orphan blocks to create one of the pouches. A beaded pull provides a sparkly finish. The quilting was done with a walking foot, including the curved petals. 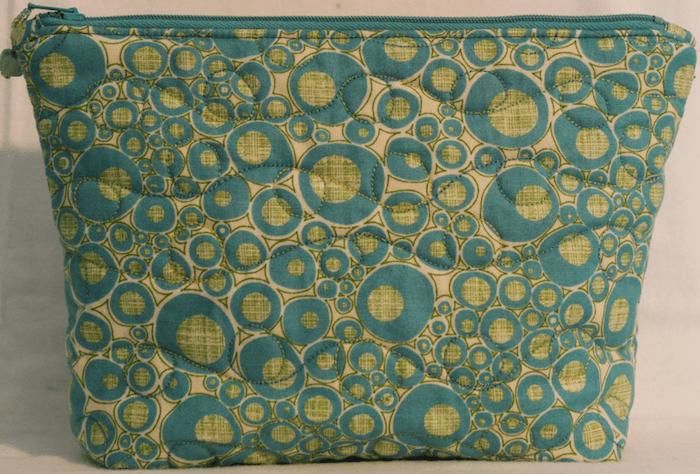 This smaller green pouch has been free motioned quilted with loops. A small pocket is stitched to the lining. 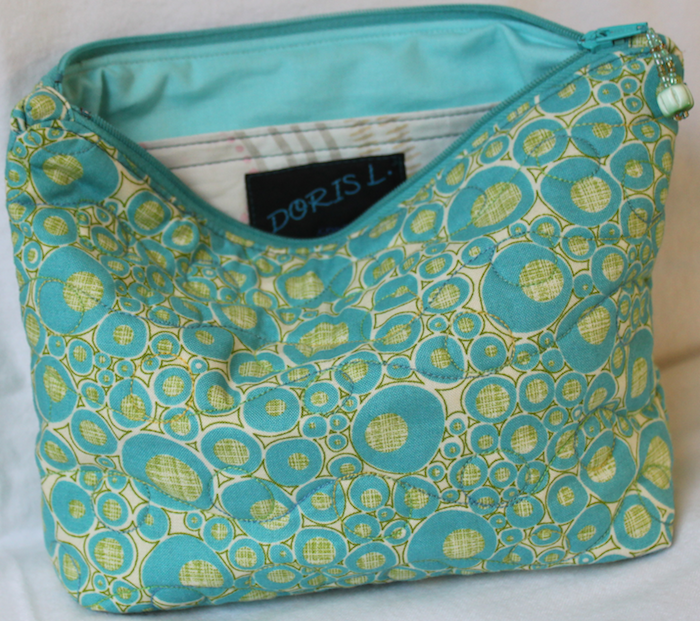 I used the tutorial: Crazy about zippered pouches written by Elaine Theriault. 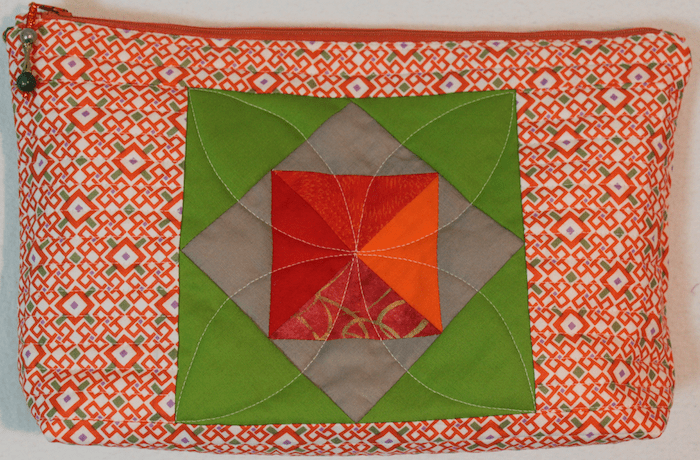 It was one of many great articles found in the premiere issue of QUILTsocial ezine. 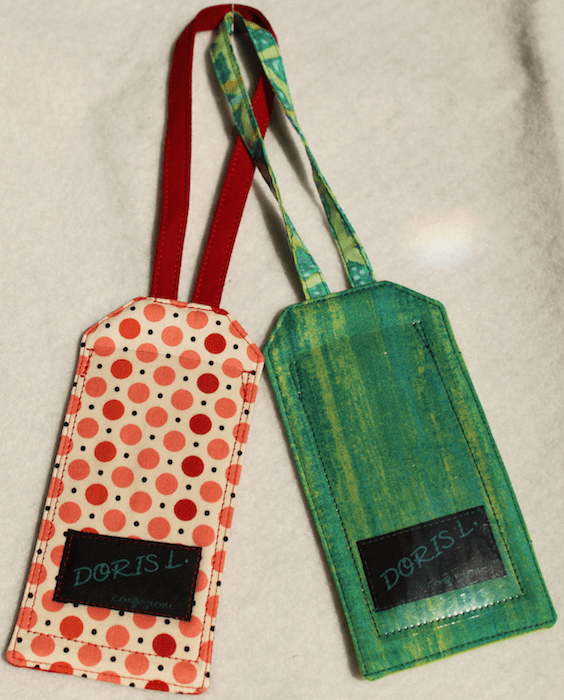 I also made a couple of luggage tags. I hope the recipient enjoys using these items!